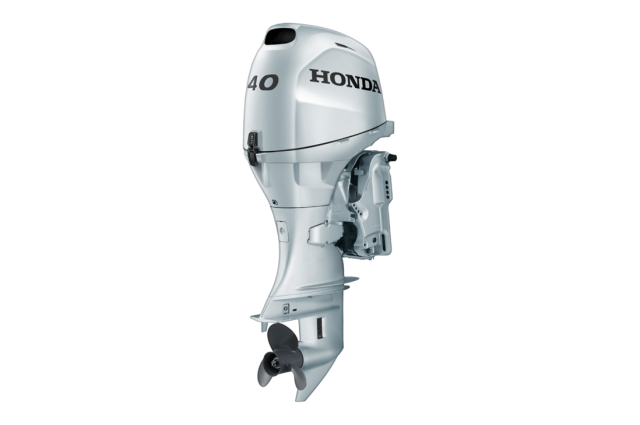 The BF40 are technologically advanced lightweight outboard engines with excellent power-to-weight ratio, powerful acceleration and impressive fuel-efficiency. The BF40 and the BF50 are light, compact 808cc three-cylinder engines, with strong torque and exciting performance. How do we do it? By giving them PGM-Fi electronic fuel injection for easy start up, powerful acceleration and outstanding fuel economy. The long, slim inlet manifold and miniaturised electronic components save weight and space, contributing to the compact slim design. Better performance: Add to that our unique Boosted Low Speed Torque (BLAST™) and the super efficient lean burn control of the ECOmo system, and you’ve got a very impressive combination indeed. 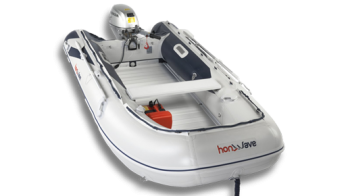 Both the BF40 and the BF50 are lively and responsive outboards that will provide dependable performance for water lovers whichever water they ply. 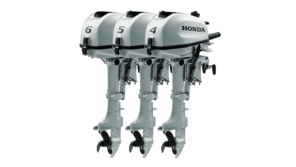 Both are NMEA2000® compliant, electronic fuel injected engines with optional Trolling Control – no differences there – this outstanding range of 4 stoke engines feature a host of innovative Honda technology, in a fully new design. LRTU With a 521mm shaft, 17A battery charge and power trim and tilt. SRTU With a 416mm shaft, 17A battery charge and power trim and tilt.